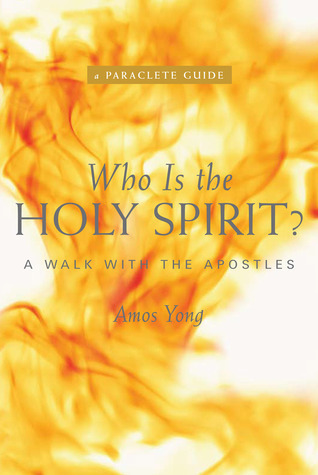 Amos Yong has written and edited a number of academic books that focus on issues like global Pentecostalism and its interaction with other religious traditions, religion and science, and the role of people with disabilities in the Church. In one sense, Who Is the Holy Spirit? is a bit of a departure for Yong. This book offers a reading of the book of Acts, read closely with the Gospel of Luke, which explores “the public dimensions of the Spirit’s activities in the political, economic, and social domains of the Roman Empire during the first century CE” (189). It is a book of New Testament interpretation written for a popular audience, both firsts for Yong. The book focuses on the way that the Spirit’s empowering of Jesus in Luke and the Spirit’s outpouring on the Church in Acts functioned to form a new society that subverted the ethnic division of Jew and Gentile as well as the economic and political values of the Roman Empire. However, it also touches on how the Spirit’s activity in the church shaped the way that early Christians interacted with people of various religious traditions in the Greco-Roman world and how the Spirit-empowered healings of Acts brought marginalized members of society into a new social order which challenged the ancient world’s dismissal of individuals with disabilities. In this sense, Who Is the Holy Spirit? is very much in keeping with the concerns of some of Yong’s previous publications. Many popular Christian works on the book of Acts focus primarily on questions of personal piety and spirituality. For Yong, while this way of reading Acts is not unimportant, it is the Church’s task of articulating a Spirit-led public theology which is more fundamental to the concerns of the author of Acts. Yong does an excellent job of drawing out some of the social-political and ethnic assumptions of the New Testament that are easy for contemporary readers to miss altogether. He then shows how the early Church, led by the Spirit, formed a community which offered a new political and ethnic identity based on the sacrificial love displayed by Jesus. Yong consistently calls the contemporary Church to surrender to the Spirit’s leading along these same lines. His investment in inter-religious dialogue draws out aspects of Acts that I had certainly never noticed before, and his concern for the disabled also illuminates some of the ways that Acts challenges our own attitudes and assumptions. Issues of gender equality are also addressed in helpful ways. This book is both well-conceived and well-executed. It should be of interest to anyone with an interest in Christian spirituality, New Testament studies, or the issue of the religious shape of public life. Dr. Jack Stapleton and his wife Dr. Laurie Montgomery are NYC medical examiners. Laurie performs an autopsy of a young healthy man who died of a staph infection after a knee surgery. Laurie becomes involved in investigating this particular case since Jack is scheduled to have knee surgery in the same hospital. Laurie soon finds out several more autopsies of post-operative staph infection victims all came from the same surgical hospital chain, Angels Healthcare. Angels Healthcare is a newly formed specialty hospital chain owned by private investors and physicians. In a few weeks the company will go public with an IPO, which will make lots of money for its top executives and investors. The CEO, a new MBA graduate and a doctor, has been working closely with the hospitals and a newly hired infection specialist. What puzzles everyone is despite a rigorous sterilization procedure, the infection continues to happen. To complicate things, it turns out an organized crime group also has a lot at stake in the IPO. At the end we learn that another force is trying to sabotage the IPO. The story is realistic and intriguing. A good mystery if you enjoy reading about medical topics. “What if you could live again and again, until you got it right? 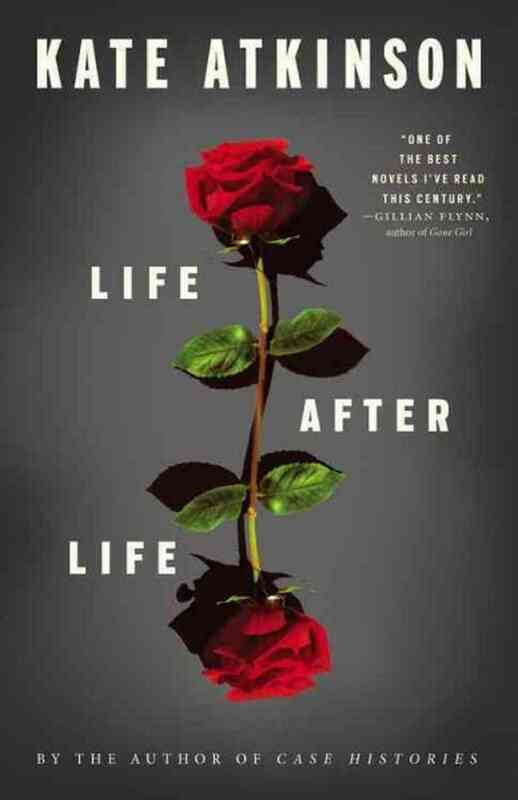 It’s hard to imagine how the author can tell the story of a woman who dies repeatedly, is reborn again at the exact same time and the exact same place, and it never gets repetitive. She does a great job of telling different parts of Ursula’s life, so each time you get something new about the character. As Ursula gets older, she tries to correct past mistakes but it doesn’t keep her from making new ones which calls to mind the saying, “If I knew then what I know now, things would be different.” Things would be different, but would it better? Like Historic Arts & Crafts Homes of Great Britain, this volume examines British houses that give expression to the Art & Crafts movement. Its focus, however, is more on the unique architectural and structural qualities of these homes. 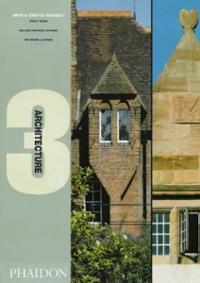 It looks at Philip Webb’s Red House, William Lethaby’s Melsetter House, and Sir Edwin Lutyens’ Goddards. These homes are displayed in a variety of ways, including original blueprints and drawings, black and white photographs that show each of them in their original conditions, newer color photographs that show various renovations and give a sense of the current state of the homes, and floorplans and other detailed drawings which accentuate some of the unique features of each home. Numerous articles from a variety of authors provide historical and technical information that grants the reader a greater appreciation for both the aesthetic and technical aspects of these remarkable houses. The Arts and Crafts movement encompassed home design, decoration, print making, painting, ceramics and more as an artistic response to European industrialization. The movement and its founder William Morris (1834-1896) emphasized the importance of traditional craftsmanship that used materials and patterns which made use of local materials and evoked a particular location’s natural surroundings. It drew largely upon medieval influences and was also tied closely to issues of social reform. Though the movement spread throughout Europe and America, it began in England with Morris and his friends. This book depicts some of the historic homes in the British Isles that serve as important landmarks for the development of this design movement. 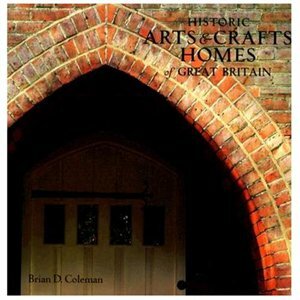 Brain D. Coleman put together an absolutely beautiful book that provides extensive photographs and chapters which document the history and unique features of these homes. In the foreword, Stephen Calloway describes Morris’ Red House at Bexley, perhaps the most ideal embodiment this kind of house, as “a complete work of art” that “is a vision at once highly romantic and curiously down-to-earth” (xi). This is one of the essential features of Arts and Crafts homes, a kind of beautiful practicality that celebrates the integration of form and function. This principle is displayed wonderfully by the photographs in the book, depicting the huge recessed fireplaces or “inglenooks,” of Cragside House in northeast England and Wightwick Manor in central England, the grey Cotswold stone that make up the many gables of Rodmarton Manor in Gloucestershire, and the intricate floral wallpapers and tapestries of Kelmscott Manor in Gloucestershire. The range of influence exerted by the Arts and Crafts movement can also be seen as the medieval inspired tapestries and woodwork of Red House contrast with the more modern design of Hill House near Glasgow, which anticipates the art nouveau style. Though vastly different in style, theses homes are linked by the geometric designs which adorn the vaulted ceilings of Red House and are worked all through the wallpaper and glasswork of Hill House. These, and the rest of the homes in this volume, are all extremely large homes. And yet, they embody a kind of simplicity of design which shuns ornamentation for its own sake and emphasizes the unique aesthetic qualities and functionality that come with skilled and attentive craftsmanship. This book provides both a visual and verbal history of a widely influential movement, one which should have plenty of appeal in an era where many architects and builders are once again turning toward older building methods and philosophies in order to address both environmental and aesthetic concerns. The authors tell a spellbinding story about what appears to be a typical American town where children are mysteriously disappearing. Fortunately or not, I chose to read this novel close to Halloween which made it even more eerie. 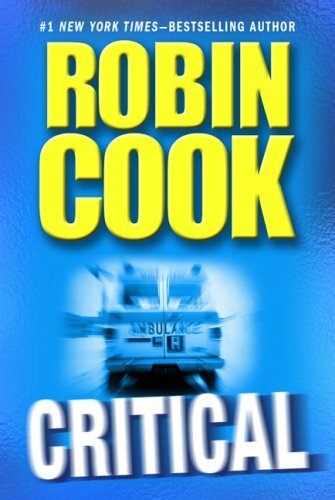 Jack Sawyer, a retired homicide detective, is called into action when the local authorities cannot find the trail of a young boy who went missing after going out on a friendly bicycle ride one morning. Jack finds this is not an isolated incident as several individuals have been reported missing. He has a premonition that someone or something from a parallel universe, the Territories, is involved. King and Straub intertwine the real and surreal as they tell a story about dark forces that have been ravishing this town and others over time. This seems like a story about good and evil, which causes the reader to hope that good will win. 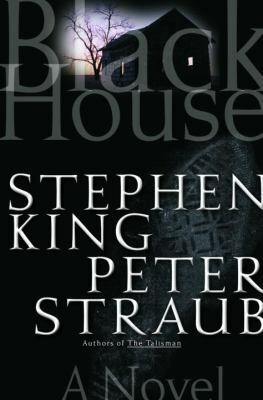 To rescue the young boy, they are led to Black House, the deadly portal to the Territories. There are many plots, twists and turns that will keep the reader glued to gruesome and haunting pages until they reach the end. “The water was all slippy-sloppy in the larder and in the back passage. 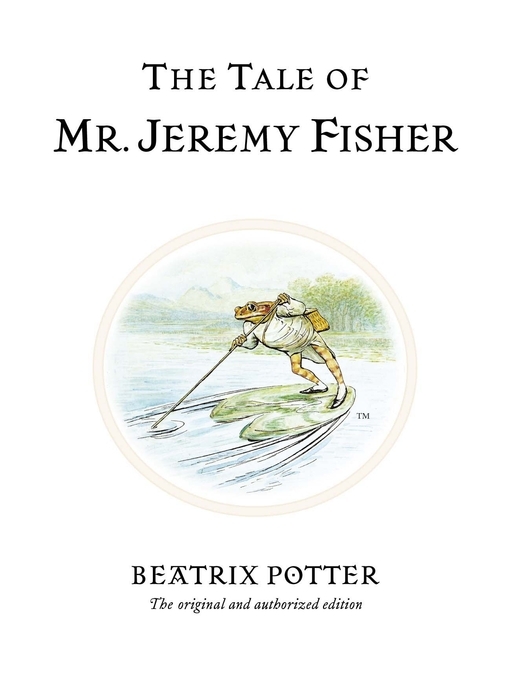 Of course, Jeremy Fisher is a frog, so his penchant for the water is understandable. One rainy day, he decides that the weather is perfect for fishing. Jeremy is hoping to catch some minnows for dinner, but after unsuccessful struggles with a stickleback, who pricks him, and a trout, who tries to eat him, he returns home empty handed to nurse his wounds. Later, when his friends Sir Isaac Newton, a newt, and Alderman Ptolemy Tortoise, a tortoise, arrive at his house for dinner, they make do with salad and roasted grasshopper – seeing as they have no fish. This is a very funny story, and its descriptions of animals living and having adventures on the water and its banks reminds me a lot of Kenneth Grahame’s The Wind in the Willows. The contrast of Jeremy’s frightening experience on the pond and the comforts of home make for a satisfying read and offer children both the adventure and assurance that they enjoy in a story. The comical depiction of Jeremy and his friends in their ornate clothing is also a lot of fun.